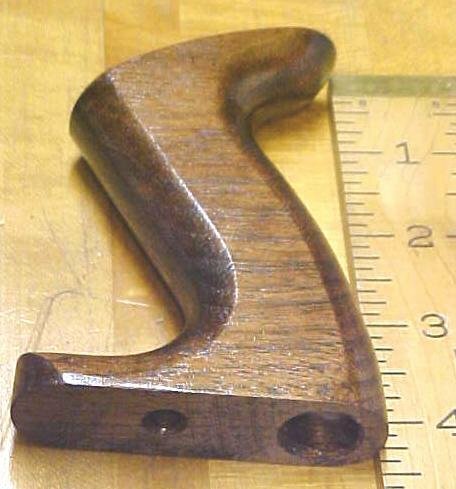 This is a rosewood color, stained and clear finished solid walnut replacement handle/tote that is designed to fit vintage Stanley Bailey type planes No. 3 & 4 and some others as well. Each is in very good condition with no damage or cracks, formed and sanded before finishing, with some very minor finish issues, but has never been used. 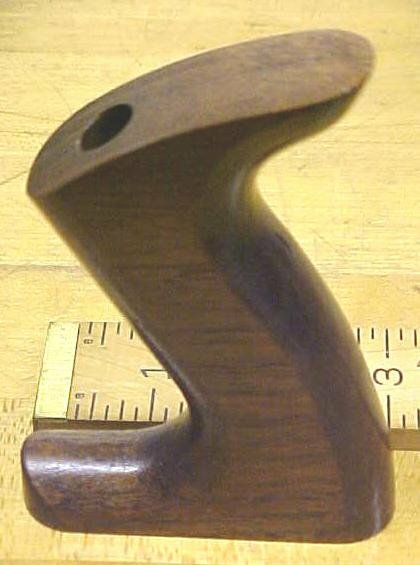 Although this type of handle is a copy or duplicated shape and made to fit any of the Stanley number planes listed above during the period in the 1940's when there was a shortage of Rosewood, this handle will fit the same type planes dating back to 1907, although the older planes originally had Rosewood handles, where this one is walnut, and walnut has a very similar appearence to the vintage rosewood with the rosewood stain finish. This handle is .97" thick x 4.25" high x 3.0" long at the base. Price is per one tote handle. As you can see the clearence holes and counterbore are in each handle, ready to bolt onto your plane useing the original hardware/screws. 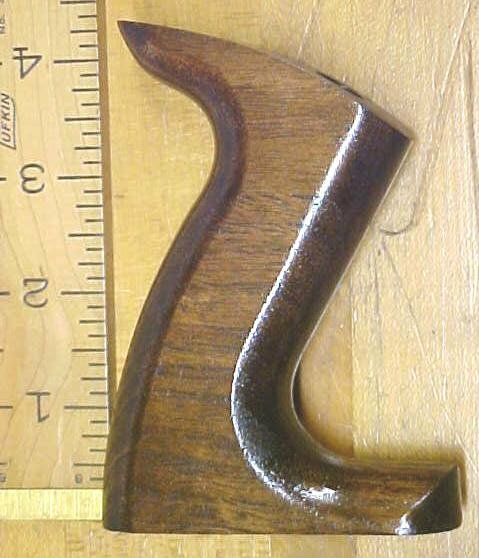 We also have plane knobs, and other types of handles for planes and antique hand drills. Buy two or more and save on shipping per item! 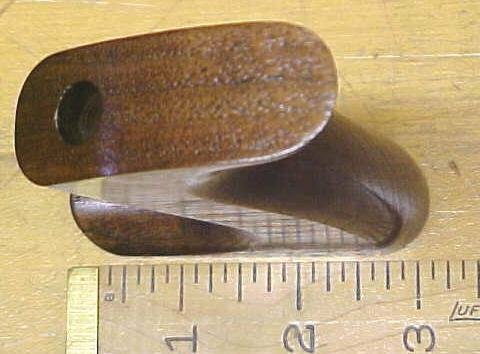 Items Similar To "Stanley Plane Handle No. 3 & 4 Walnut Tote"